More trouble for The United Stand in Spain. A Manchester United YouTuber had his live broadcast at the beach in Spain interrupted by a young child telling him to shut up. 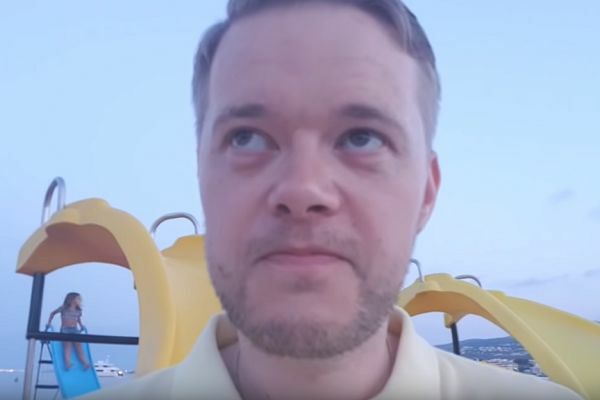 Mark Goldbridge of The United Stand hasn’t had much luck with the locals while on holiday and seems to have also run into a few problems with his fellow tourists, if this clip from yesterday’s stream is anything to go by. With several brightly-coloured slides attached to boats for hire and a passing ship in the background, a youngster can be heard from out of shot addressing the fan channel host by name. The pair are obviously known to each other and Goldbridge wears a look of frustrated fatigue as he ignores the insult.